To survive is necessary to adapt to the environment. This ability also applies to companies, especially those that move in changing terrains. Technology companies, immersed in the so-called fourth industrial revolution, have been forced to reinvent their business model before the demand for new products. Víntegris is one of those examples. Created in 2004, at its inception was established as a company integrating security services to third parties. Its founder, Facundo Rojo, found a niche in the certification of documents. A digital certificate has multiple uses. It offers an individual the possibility to sign any document online. A company offers the alternative, for example, being able to seal batch insurance policies without having to process each document separately. The Catalan began with the development of vinCERT, a pioneering system in Spain that allows you to take the certificates of a personal computer and house them in a large warehouse, called HSM, which serves as a directory. “For the user, it does not mean anything, he still has the document, and when he wants to do an operation, he does it normally; and for the company, it means having the control that it did not have before, “explains Rojo. “Our warehouse of certificates gives a control to the companies that before they did not have” explains Facundo Rojo, founder of Víntegris. Víntegris is also constituted as a technological consultancy, and it is this perspective that allows it to know the needs of companies regarding data security. That opportunity is what changed the company’s roadmap to diversify and become a direct provider of online security systems. In other words, market their own product. A concept that remains present. Of the 5.1 million euros turnover in 2017, Víntegris reserved 10.3% for the development of new products. Something necessary in the technology sector that is continually changing. In this regard, the company invested just over 250,000 euros in its RDI (Research & Design Innovation) center in L’Hospitalet de Llobregat, Barcelona, 2% more than in the previous year, to continue developing new solutions that reinforce the online security of its clients. Since the entry into force in July 2014 of the new European regulation for the recognition of electronic identity (eIDAS), Víntegris is proud to be one of the few Spanish firms to issue the official certification. The offices of Víntegris in the headquarters of L’Hospitalet de Llobregat (Barcelona). Following the approval of eIDAS, the Catalan company developed its flagship product, nebulaSUITE. The new law regulates the uses of certificates and allows their use in mobility, and at Víntegris they concluded that the most efficient thing was to be able to sign documents anywhere. The Nebula “SUITE” acts as a cloud. It provides organizations with the complete infrastructure for the issuance, management, and signing of certificates, which are hosted on a platform protected by an authentication service. Merely enter a token – a password generated by Víntegris to prevent third-party access – and the user can access the documents. 5.1 million euros is the amount of revenue registered by the company in 2017. Of this total amount, the Catalan company allocated 10.3%, 2% more than the previous balance (about 500,000 euros), to the development of new solutions. In addition, the certifying company keeps 250,000 euros to invest in improvements to its RDI center in L’Hospitalet de Llobregat, in Barcelona. nebulaSUITE works on both computers and mobile devices and has three modules: nebulaSIGN, for digital signature, nebulaCERT, to manage certificates, and nebulaACCESS, which manages access to organizational systems in 12 different ways, from a QR code to SMS. But not all employees have access to all certificates. For the customer, it is a way to have their documents in the same online space and with the security guarantee of Víntegris. With almost a hundred loyal customers, approximately half belong to the banking sector. Among the financial entities that use Víntegris services are BBVA, Bankinter, Laboral Kutxa, Sabadell, and Bankia. Víntegris bet on the Asian market for its internationalization. To this end, in 2016 they reached an agreement with Feitian Technologies to store the fingerprint – all the permits that may be required to the customer – in the key rings manufactured by the Chinese company and jointly commercialize USB ports with all the user information. The Chinese government controls the algorithms and, therefore the keys, so that they could hack them. Although European legislation does not work there, we can sell our product jointly with theirs outside of China, “says Rojo. With the emergence of the Internet of Things, a technology by which traditional analog devices are connected to a cloud, the company’s managers are considering a new way of conceiving the business. “You have to adapt. Now if you leave the car open, you can close it with your mobile phone; we are planning innovations such as introducing a new single-use token that can be very useful in robotics,” foretells Rojo. The founder of Víntegris does not rule out entering domestic consumption but recognizes that there is a lack of contacts and suppliers to take the step. Even so, and after 14 years reinventing itself, the Catalan company can boast of the know how to adapt to the environment in which it lives. And that capacity for survival makes them the guard of the digital ecosystem. A couple of customers consulting the Víntegris product catalog. Protokol Group Commercial Agreement. In July 2017, the company reached an agreement with the Protokol group, based in the US and with 80 employees, for its incursion in countries such as the Dominican Republic, Colombia or Venezuela. Expansion plans. Dubai, Vietnam, Switzerland or Mexico, are some of the countries in which the company has recently landed or plans to do so. Documents verification. For six years, Víntegris has been constituted as an entity capable of auditing all the digital certificates it processes. Record in licenses. The nebulaACCESS authentication service, which guarantees security in access to certificates, exceeds more than 100.000 licenses, in Spain alone. Customer satisfaction. 98% of its buyers – more than half are some of the leading Spanish banks – continues to rely on the services of the Catalan firm since the first product contracted. Facundo Rojo, founder of Víntegris. 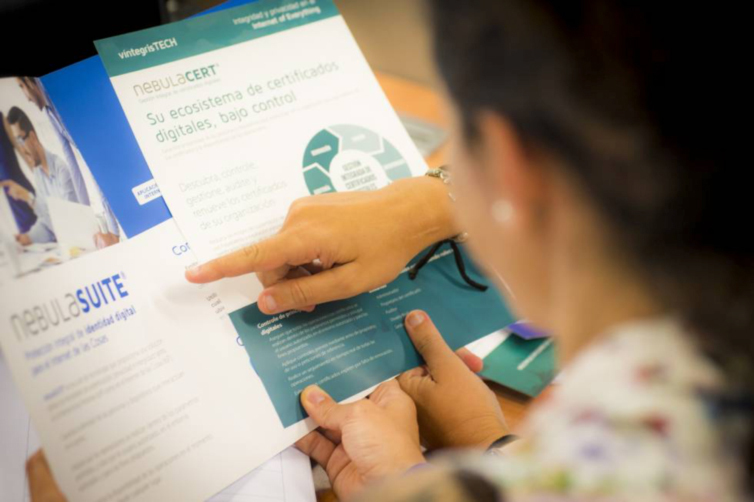 Víntegris’ business model, based on digital certification, came after a conversation between Facundo Rojo and one of its clients in the banking sector. “I wanted to sell him a product, and he said: ‘Hey, leave me alone, my problem is that I have many certificates and I do not know anything about it, find me something on that, and then we talk’ and that I did,” says Rojo. The founder of the Catalan company then developed an access control system based on what some hotels had. “I wanted a simple thing, so we made a product that could have the phone or use a coordinate card,” says the Catalan engineer. From a need, Rojo devised the company in 2003 and, for its creation, used the mortgage of his house as collateral. Then there were only five workers. 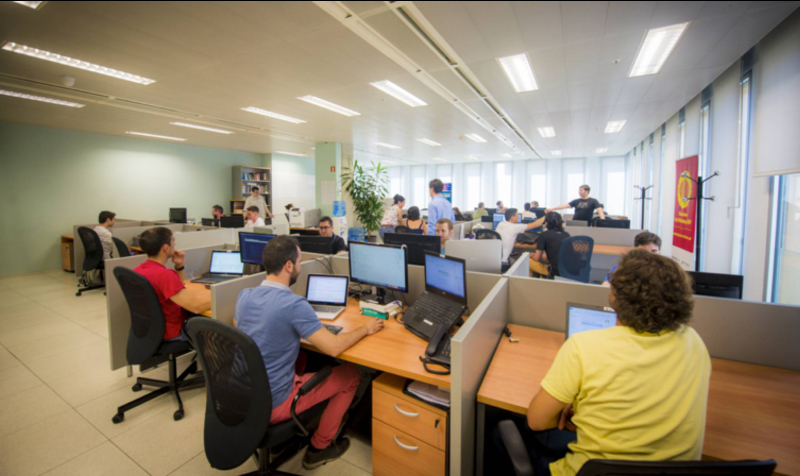 Currently, Víntegris has 70 employees and three delegations in Madrid, Barcelona, and Bilbao. 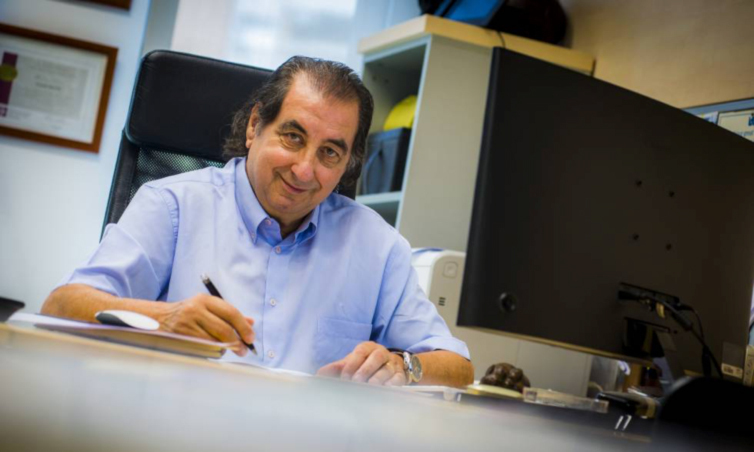 Rojo, who had amassed experience as director of the data processing center for the organizing committee of the Barcelona Olympic Games in 1992, boasts that he did not need external investment to boost the company. “I have worked for third parties, but we have evolved to create our own products, with an investment on a bootstrap,” says the founder.